Siwertell was awarded this contract for the refurbishment of a grain terminal in Helsingborg, Sweden. Skånska Lantmännen is the farmers’ coop in the south of Sweden and its grain terminal handles all export and domestic sea transfer. A devastating fire that had ruined a 340 m belt conveying system with its gallery and a rail travelling ship loader, lead to an order for a new loader. The scope of supply, carried out on a turn-key basis, included dismantling and removal of ruined equipment, supply of new equipment, tests and commissioning. 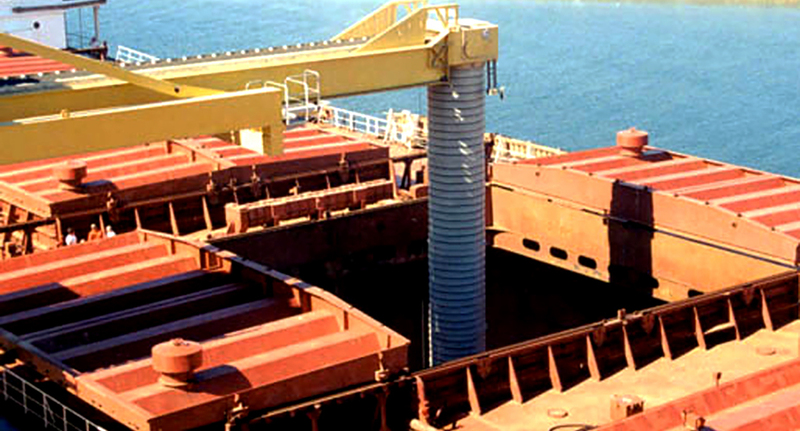 The rail-travelling ship loader, supplied with a telescopic belt of 1,200mm, is equipped with a special loading bellows unit for dust-free operation. 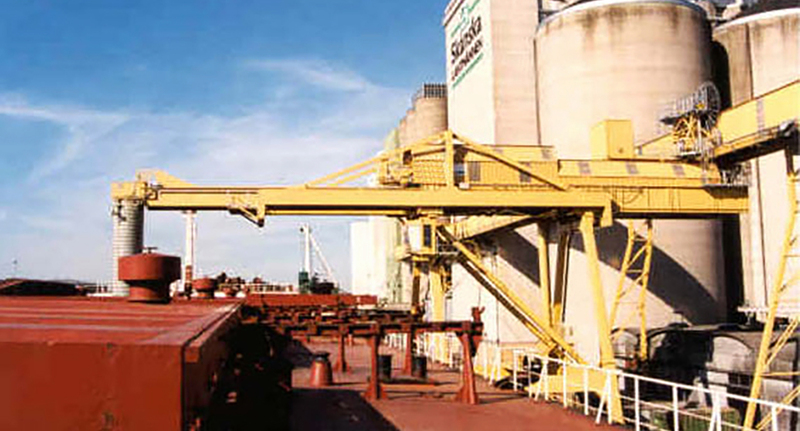 A special shuttle belt arrangement is included in the the conveying system, for continuous loading along the travelling length and synchronized travelling between the loader and the shuttle conveyor. 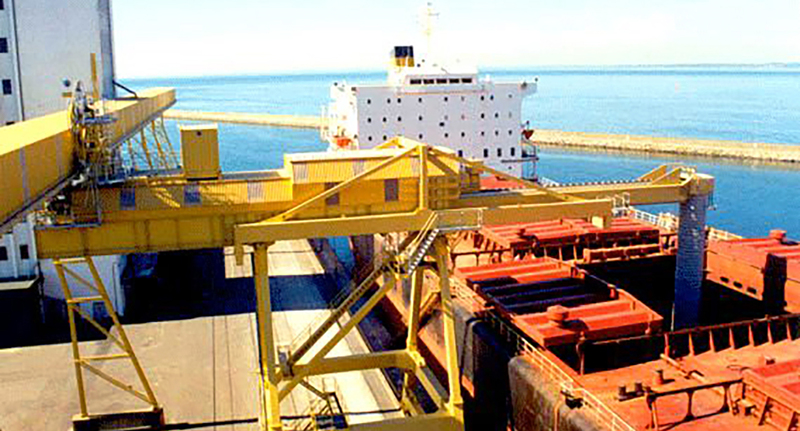 Since March 2000 the grain terminal has been in operation in its restored condition.